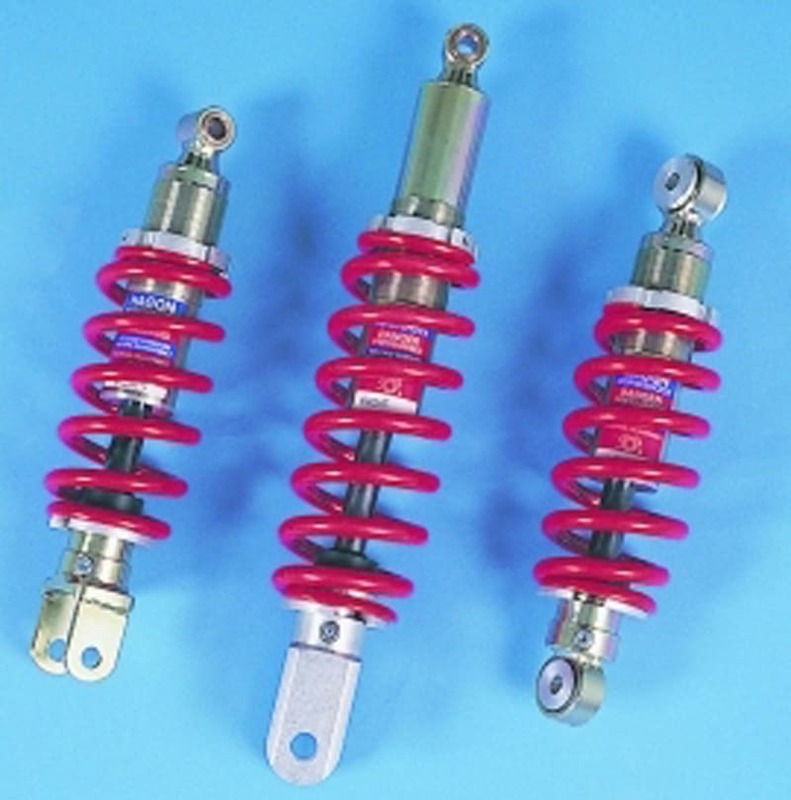 Hagon mono shock, featuring adjustable damping with automatic rebound and compression balance. Also adjustable for spring preload with adjuster ring. Fully rebuildable, red powder coated spring and plated body. Supplied with damping adjuster key.